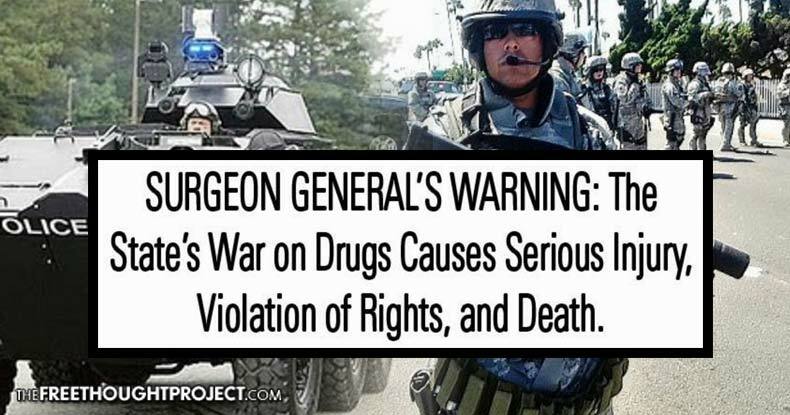 Over the years, as the drug war has fueled the ever growing police state in America, the actual drug problem and occurrence of overdoses continues to grow. This fact is obvious to anyone paying attention, however, this was recently confirmed by a US government study, released by the National Center for Health Statistics. According to the study, drug overdoses in the US have increased by 23% between the years of 2010 and 2014. Furthermore, since the year 2000, the occurrence of drug overdoses has doubled. The study also noted that 25% of all overdose deaths in 2014 were attributed to heroin. Many of the other drugs listed in the study for having a high risk of overdose were actually prescription opiates that are very similar to heroin. The study also found that more people than ever are overdosing on Methamphetamines. Methamphetamine overdoses have doubled in just four years, between 2010 and 2014. In the year of 2014 alone, over 47,000 people died from drug overdoses in the US, which is double the rate that was seen just over a decade prior. Deaths from fentanyl, a synthetic opioid like the majority of drugs in the top ten list, have increased by a factor of 2.5 since 2010. In 2010, heroin was fifth on the list of drugs that led to the most overdose deaths, with 3,020. Heroin overdose deaths in 2014 were more than triple that amount. CDC director Tom Frieden explained in a recent interview with PBS that a wide range of opiates are very easy to obtain, through both legal and illegal means. “Really, there are two driving forces. First, doctors are prescribing way too many opioids, for too many conditions, for too long, for too many patients. And this is a major problem. Second, there’s been a flood of illegal opioids, not only heroin, but also synthetic fentanyl and drugs that are inexpensive and widely available. And those two things are making a very difficult problem continue to get worst,” Frieden said. Government representatives and mainstream media pundits act like a solution is mysteriously out of our grasp. However, the solution is obvious, we need to end the war on drugs, including heroin. Heroin addiction is a serious problem, but as counter-intuitive as it sounds, the best way to prevent heroin overdoses is to actually legalize it. Certain areas of the world, like Portugal, where all drugs have been decriminalized, there are far fewer overdoses than there are in prohibition countries. The Washington Post reported earlier this year that drug overdoses are extremely rare in Portugal, and they have some of the lowest rates of addiction in the world. People have the impression that under drug legalization, things would just be out of control and drug addicts would be everywhere, but this is not what actually happens when drugs are legalized. Currently, under the state of prohibition that most of the world experiences, the treatment, and help addicts receive is severely limited, mostly to punishments and highly regulated inpatient and outpatient programs. In an environment of prohibition, the strategy is punishment, instead of harm reduction, which is actually a much more humane, realistic and effective way of handling serious social problems like heroin addiction. Examples of harm reduction tactics would be needle exchange programs, drug testing kits at raves, or supervised safe houses, just to name a few. Teaching condom use for sexual education, instead of abstinence is another example of how harm prevention is applied to other social issues. Also, there is growing evidence that a person’s social, economic and personal factors have a much larger impact on their probability of getting addicted than we previously thought.